You’ve heard of the Big 3 in sports, but what about the Big 3 in the equally thrilling jacket world? Have you always wondered what the precise difference is between all those jackets that look like blazers? Look no further. Here’s your pocket guide to blazers, sports coats and suit coats. 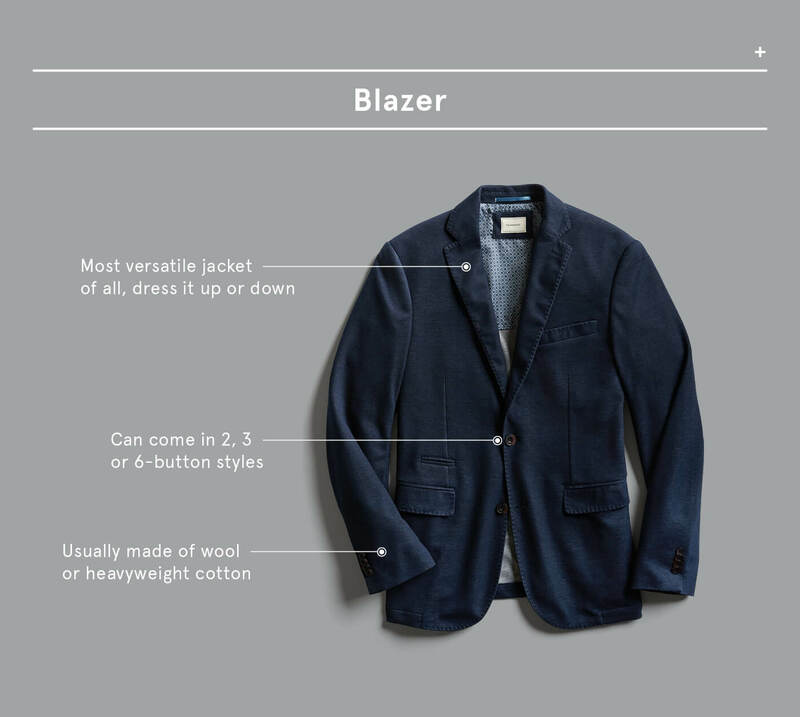 Here’s the difference between a blazer, sport coat and suit coat. After gaining popularity among British royals in the 1800s, nowadays the blazer is everyone’s go-to option for dressy events when a suit is too formal. Add a two-button blazer to your closet in a classic navy, which pairs well with chinos for a wedding, or go casual and layer it over a button-up and jeans. Just be sure to lose the tie. Streamlined (and the most formal of the three), a suit coat is made from higher-quality fabrics and is always part of a matching set. If you’re prone to spills or a little wear-and-tear, don’t split the jacket from the pair. Take it from me: dry cleaning it more than the pants will result in fading—and they’ll no longer match. Originally reserved for dapper men hangin’ in the countryside, the sport coat is now a mainstream staple. Keeping true to its roots, it comes in sturdier fabrics fit for cooler climes—like tweed, houndstooth or flannel. 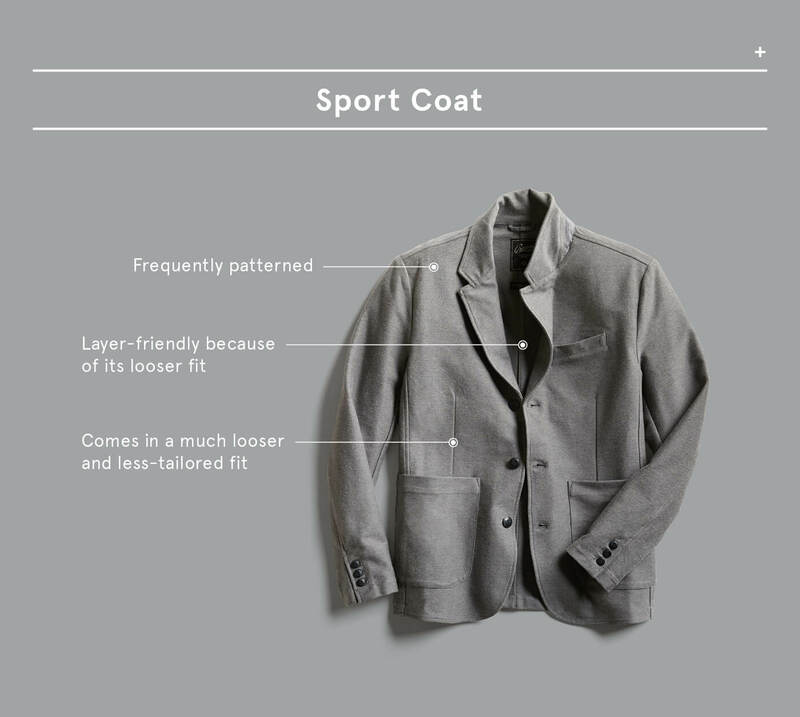 With a looser fit, the sport coat can be layered over a sweater for nights out, plus it usually has interesting details like flapped pockets and elbow patches. Now can you spot the difference? 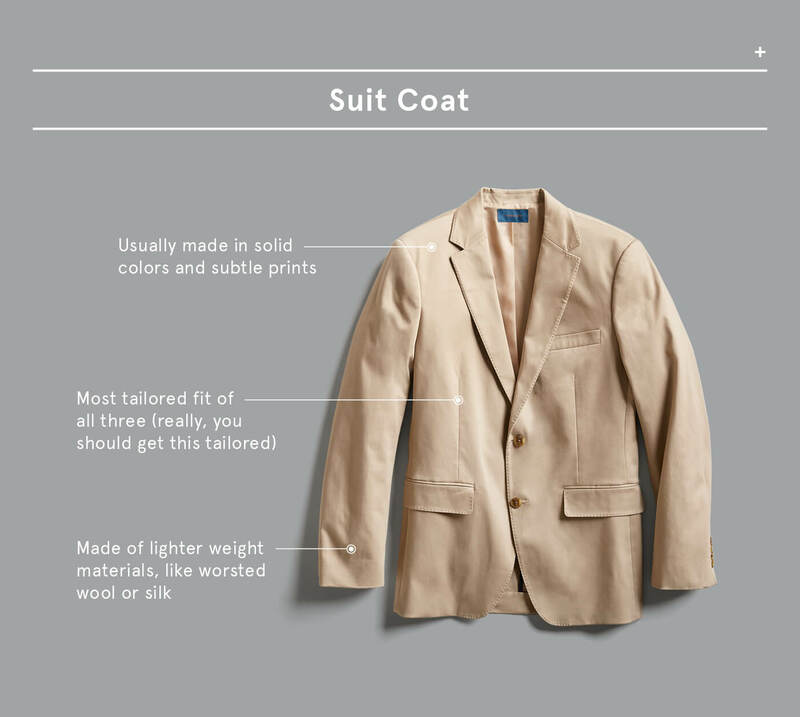 Tell your Stylist what jacket you need for your next occasion.